Pctherapist's Blog | My goal is to share my experience to help others develop a more positive relationship with their computers. My goal is to share my experience to help others develop a more positive relationship with their computers. 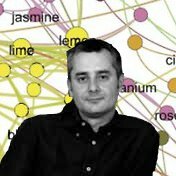 The book Linked by Albert-Laszlo Barabasi simple aim is to get the reader to think network. One of the interesting points of the book is the understanding that networks do not just exist in the realm of digital communications but are incorporated in the formation of international conglomerates, bacteria pandemics, terrorist organizations and cocktail parties. It becomes obvious through Barabasi’s examples that if anything interacts with any other thing, then there is a network. There is no doubt that mathematicians, statisticians, nuclear scientist and sociologist would be able to discover something important to their work from this book. The book covers the growth of networking theory from the early Christian travels of Paul up to 2003 when the manuscript was first published. Although most people involved in internet development these days should know this, I thought it was an interesting point coming from the observations of a physicist. Barabasi reiterates this point on page 57, where he states “That in order to be read you have to be visible.” As we all have learned that the more incoming links you have pointed to your website the more visible your website will be. If we think in terms of search bots, most websites with fewer than three back-linking documents are ignored. They simply do not exist. Consider that six out of 10 pages are not visited by search engines; the likely hood of a page being index depends on its incoming links. Documents with only one incoming link will have only a 10% of chance of being indexed. Whereas documents with 20 or more links will have a 90% chance of being indexed. The importance of inbound linking is not only important to being bot searched and indexed but it is also important in the reach of ideas of information. Barabasi presents an example of the importance of cohesive networking on page 172. Here Barabasi includes the research of Lada Adamic of Stanford University. Adamic explored the effectiveness of an integrated network of sites that share common interest. The research compared the sites of Pro-Choice and Pro-Life websites. Adamic concluded that the sites of Pro-Life were more collectively inter-connected by a tightly built network of shared links. It is because of this network that Pro-Life advocates could operate more effectively than Pro-Choice groups. Adamic suggested that legislation directed toward Pro-Life causes would have a greater degree of success than the efforts of Pro-Choice. The strongest network would hold the advantage. Since the writings of this book are now over ten years old, most of the theories of Barabasi are not new or earth shattering. I still think it is important to revisit the ideas. The book Linked reminds me of how interconnected we are and how if we maintain the importance of being connected our endeavor will be successful. It also sparked an idea for an experiment. My request, in order for you to participate in the grand experiment, is for you to create similar relevant content. Within the content of your post from a blog or website, incorporate a back-link to this post. Within the back-link have the anchor be: <a href=”http://wp.me/pYrnR-56″>The Importance of Networking.</a> Perhaps if done effectively the ideas of this post will not remained invisible. 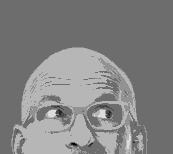 Seth Godin teaches you when to quit or stick? bragging that I read it so quickly or that it was a book that I could not put down, it is just that it is a very little book and is a very easy read. The advise is simple enough and I am not sure why more people do not know about such a simple formula but I guess that is why the book needed to be written. Sometimes we just do not see the obvious until someone else points it out for us. Seth even suggest that if you are not going to be successful avoid the dip all together by not trying. The question I have is how do you know if you are going to be successful until you have tried. His example on page 54 uses the Boston Marathon as an analogy of succeeding when you can see that you are going to reach your goal and sticking through the urge to quit. He states that no one quits the race when they are in the last 25 miles because they can see the finish line. This made me think how many runners who enter the marathon believe they will finish first. If the only runners who enter the race were runners who knew they would finish first, how many would enter the race. There must be some other reason for entering the race. There must be something more important to them then finishing first. Perhaps just being able to cross the finish line is a worthy goal. If you are the second and third runner and you see number one about to cross the finish line should you quit because you know you are not going to finish in first place? The book does recommend quitting as an intelligent strategy. On page 60 Mr. Godin tells us a story about poor Doug. Doug it seems has worked very hard in business development and sales. He handled the Microsoft account for seven years until he got a promotion and was put in charge of a division of 150 people the second largest division in the company. Then apparently tragedy strikes and Doug is promoted again. However it is only a lateral promotion to strategic alliances where he is well respected and is making a lot of money. Poor Doug he has worked his way into a respected division and is making a lot of money. Seth says it is time for him to quit and why should he quit, because Doug has hit a plateau. A plateau, doesn’t that mean he has made it out of the dip. He is on a plateau! I thought that was the point of the book. Doug worked through the dip. He made it to the top but Seth states that Doug is in a cul-de-sac and that his career is over. Now I live on a street with a cul-de-sac at both ends of the street. I like it because there is very little traffic on our street and that brings up my second disagreement. Maybe some people like living on the cul-de-sac. Maybe Doug likes where he is. Maybe he likes being well respected and making a lot of money. I think he should be congratulated for his accomplishments. Doug ran the marathon and crossed the finish line. I do agree with Seth that the dip creates a scarce percentage of people who will achieve number one because not everyone can endure the obstacles that confront them. 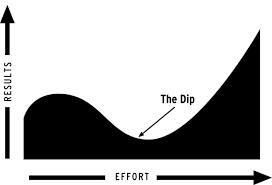 The dip creates quality because mediocre will never be able to get out of the dip. I also agree that we need to reevaluate our game plan in order to determine if we are on the right track to our accomplishments. We have to be able to develop a long term plan so that we will be able to cut our losses if we see that we are not reaching the original goals. Unfortunately I don’t think the book accomplishes it’s goal. I don’t think the book offers anything instructive in determining when to quit or when to stick. I did conclude that may be what we need to learn is not when to quit or stick but when to alter our goals. If you have any thoughts on The Dip by Seth Godin please post them. May be you got something out of the book that I missed. Can your website stand up against the Dog Bowl Test? If you want to drawl traffic to your website use the Dog Bowl Test to discover how effective your site is in attracting visits. If you are not familiar with the Dog Bowl Test read on to find out how you can implement this fool proof test for your site. 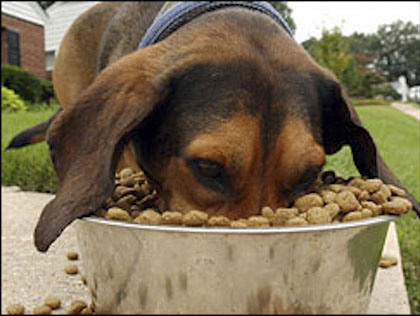 First get a dog, the bigger and hungrier the better. Then get a bowl, the size is not relative to the experiment. Next write the name of your website on the bowl, anywhere where it would be visible. Now place that bowl down in front of the big hungry waiting dog and observe. After noting this data and recording it for reference, place something in the bowl. Preferably something you have observed that the dog has indicated it favors; something like kibble, something from your dinner plate like a nice juicy piece of steak. Now observe the dog and record the same reactions as were in the previous step. Evaluate if the reactions are different and how they are different. The outcome of the test should indicate that unless there is something in the bowl that is a need of the dog, there would be very little interest in the bowl with a name on it. If your results are similar to the proposed outcome you should consider evaluating your site to ascertain if you are relying heavily on just name recognition or are you filling your website pages with content that delivers a need and fulfills an interest. This experiment may be reproduced with a cat but most observations have concluded that cats are more finicky than dogs and may not take interest in your bowl not matter what you put in it. Google The Power and The Glory? In the beginning there was chaos and randomness. Then Google said let there be order and then there was order and it was good and free. Throughout the Land of Web, pages multiplied in the order that was given them and Google said this is good and I will be the one search engine that all shall follow. It soon came to pass that the number of faithful followers grew and Google said let there be my favorites who will rise above the others less faithful and earn their place in my ranks and so it was. However the favors bestowed upon those who achieved the coveted ranking of Google, created envy in those who were not so blessed and the unblessed grew discontented. The unblessed sought out the secrets of ranking and used the forbidden knowledge to seek Google’s approval and it was granted to those who used their newly found powers. In the days that past Google looked down upon its creation and found those who had discovered its secrets were controlling the gifts of ranking for their own gains and Google became angry. Google released a mighty plague upon all of the people of the Land of Web and took away the secrets known as keywords and alter forever the means of attaining its favorers. The great plague spread quickly throughout the Land of Web and smote down the ranking of those who thought they could control their placement on the pages of the Great and Powerful Google. The masters of the web trembled before the might of Google and fled in fear of the fierce hand that covered the Land of Web. The faithful erect idol sites. For a time the Land of Web was covered in darkness and many of the masters of the web erected sites to appease the vengeance of Google. These sites grew in the images of Google and followed the commandments set down by the Great and Powerful Google. Many did pay homage and the faithful saw that they did earn a place closer to the all powerful Google. However as it was before it came to pass once more that there were those of the Land of Web who did not wish to pay homage but desired the placement next to the side of Google. It was discovered by those of little faith that if they could earn blessing from another master of the web that then they could benefit from the placement of others. They began to pay for these linked blessings to rise in the ranking of the Land of the Web. It came to pass as it had done before that Google looked down on the Land of the Web and grew angry that money was being exchanged for the favors of linking and again sent a mighty plague down upon the land. Many sites were laid to waste and Pandamonium spread across the Land of Web, much was loss. Google commanded that sites in the Land of Web must show that they are faithful and relevant in anchor tags, in backlinks and in content or suffer the punishment of exile to the 200th placement of the 20th page, never to be seen by the faithful masses again. The faithful masses looked up once more to find favor in the graces of the Great and Powerful Google. They cried out that content was king and long live content. Google was pleased and smiled down on the faithful masses that genuflected before it. And so it came to be and the keywords transformed to Not Set and Not Provided, hiding their intent from the faithless and Google rested. How Accurate Is Google Ranking? Google has created a club that everyone wants to be a member of. http://www.seomoz.org/rank-tracker and determined that the real estate business was ranked numbered 45 for the phrase. Of course this means that anyone searching with the phrase would have to go through 44 listings before seeing the realtor and most web surfers would probably not search past the first three pages. During my meeting with the realtor we accessed her site several times as I discussed and advised on improvements to design, content and engagement for the site. At the end we did a final search by the keyword phrase to check out the competition, surprisingly their site was listed at the third place spot on the first page. I was a little surprised at this since we had not made any changes to the site until I saw under the listing there was the line showing “You have accessed this site 18 times.” It was the first time I had seen this line and it is a line that still does not show up for me in Internet Explorer, but it was obvious that the site had been moved up based on the usage either through the browser cache or through Google tracking the activity and displaying results based on the personal usage of that specific computer. Which means the ranking of the site for that keyword search had not changed except for that user on that computer? Now you might just say “So what?” as I did, at the moment. However after thinking about it later I realized that this could be a devious tool in the wrong hands. After all it would be possible to access a prospective client’s site before meeting with them on your own laptop, or IPad and rank the client’s site to the first page on your device. Then when you meet with the client asked them to do a search for their site on their device, talk about what you could change for them, pretend to make changes from your device and then do a search from your device and show them that they are now on the first page. It is not something that I would do and I am sure no one else would do something so underhanded but I am just saying that there is more than one way to get into the Google club. The social trend on LinkedIn groups is the promotion of exchanging Facebook Likes, Pinterest Repins and Twitter Follow Mes. The question I have for everyone is; Is it enough? How effective is this approach with Google pushing content and Facebook deleting “ Fake Likes” from accounts. How much engagement does this create in traffic and back links. I think it is a good first step in developing traffic to your pages but I would suggest we carry it a step further. I would like to suggest that we exchange campaign marketing to develop cross promotion networking. This would be an exchange of meaningful content and the development of true content back linking. Consider the process that is accepted now, we have groups of SEO and SMM professionals who are asking other SEO and SMM professionals to exchange LIKEs; how does this help the promotion of products or services? Should’nt we as professionals be asking for exchanges that will benefit our clients? We should be engaging in exchanges that will serve our clients through cross promotions of marketing campaigns. If a SMM manager has a client that wants to sell shoes and I have a client that wants to sell handbags, I would agree to follow the shoe client and would Tweet about the shoes with information exchanged from the SMM manager that follows the shoe campaign’s direction, and the SMM manager would do the same for my handbag client. The steps of Cross Promotion Exchange would be done in simple steps. The big difference here is that LIKES, PINS, and FOLLOWS can still be exchanged but exchanged with content, engagement and purpose. The following list is a list of groups that I belong to on LinkedIn and as you can see there are over 500,000 members which is not a count of their possible clients. That is over 500,000 opportunities to cross promote marketing campaigns. The resources here are incredible and the ability to create a buzz for a client are almost without limits. That is 568,579 members. There has to be someone else out there beside me who would like help to create a buzz for a client. If anyone in any of these groups would like to test this process out I am eager to provide my clients with true back linking content exchange. Got Buzz? Of course you could just LIKE ME. The QR Databook logo[/caption]Every website has a goal, its purpose for being. The purpose for QR Databook.com is to offer anyone a convenient method to carry their entire medical history with them wherever they go. The goal of the site is to have someone complete the interest form which will be used to collect the data to create a QR Databook. If your site has a goal that is important to track you will then need a means to monitor if the goal is being met. This is one of the services provided by using Google Analytics. Google Analytics provides the means to track multiple usage type of traffic to your site. You can track how much traffic is coming to your site, where it is coming from, how time a viewer spends on your site and if a goal is being met. As with QR Databook.com, the goal is to find out how many viewers check out the “requestformnew” page. If your site has similar goals the first step is to establish a Google Analytics account. In order to use Google Analytics, you’ll need to set up an account with them. If you already have a gmail account you are already one step closer to using the analytical services. This will provide you with a unique identifier to add to your site. You can only access information about your own site. You will not be allowed access to information for other sites unless the site owner explicitly grants it to you. The only people with access to your information will be yourself, and those you give special permissions to. Go to the Google Analytics website (Google.com/Analytics). If you have a Google account already, use your email address and password to sign in. Click the Sign Up button to continue. In the next window, provide Google with the URL of the site you wish to analyze. Give the site an account name that is easy to remember. If you will be tracking multiple sites, this is especially important. Select the country your site is based in, or the country it is serving. Then select the appropriate time zone. In the next window, provide your contact information. In the next window, read the Google Analytics terms of service. If you agree with them, click the Yes box. Google will provide you with a block of code. Copy this – you’ll need to insert it into your web site. You must insert the code that Google Analytics provides you with into every page you want tracked. This will help when you want to measure how people move from one page of your site to another. If you understand how to edit HTML, this block of code must go between the HEAD TAG of each page. If you are using a service like WordPress, you’ll need to open the footer.php file to place this code. The main information I track is the Visits, Traffic Sources and Bounce Rate. Visits maintain the number of viewers, Traffic Sources will define where the traffic originated from and Bounce Rate gauges how long viewers stay on your site. If you have planned a campaign through Twitter, FaceBook or a Blog the Traffic Sources Overview will define how many of your visitors came from those other sites. This can be used to qualify how well your campaign is accomplishing driving traffic to your site. The Bounce Rate gauges if traffic sticks to your site or just bounce away. This is one of the reasons why it is important to place your Google Analytics code on every page, other wise if the viewer moves from a page on your site to another page on your site that does not have the code; it will appear as though the viewer has left your site. A good bounce rate is open to opinion but on average a good rate is from 30% to 50%. This percentage is the amount of traffic that leaves your site after viewing an entrance page. The lower the bounce rate number the better the stickiness of your site. To establish a goal; select the admin menu item from the top menu bar and then click on the Goals tab. You can set up to 20 goals, select one of the goal set links to create your goal. As was mentioned above a goal for QR Databook is to track how many users land on the “requestformnew” page. The goal was named Interest Form and the URL was selected as the Goal type. The URL was set as /requestformnew.php as it is not necessary to include the entire page path from the domain to the page. This information was saved and then added to the main Dashboard as the Dashboard can be customized to fit your needs. Google Analytics provides important data for web site owners to track however I am in the process of learning and I am not yet an expert on everything Analytic but I do encourage you to sign up an begin your own goals analysis. Do you have a favorite set up for Google Analytics? Please share.